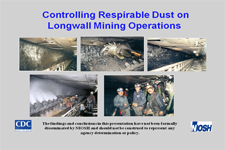 NIOSH OMSHR and MSHA hosted a series of workshops on controlling respirable dust with practical control technologies and techniques. 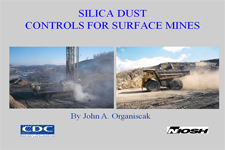 Inhalation of excessive levels of respirable coal dust can cause Coal Workers' Pneumoconiosis (CWP), and overexposure to respirable silica dust can lead to silicosis. Recent surveillance indicates the number of CWP cases is rising. 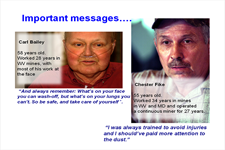 These occupational lung diseases can be disabling or fatal in severe cases, but are preventable through limiting worker exposure. 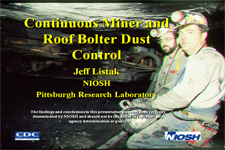 To request more information or a DVD containing the NIOSH workshop presentations send an email to OMSHR@cdc.gov.